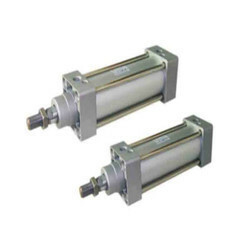 Leading Manufacturer of vdma cylinders, small bore cylinders, round tube cylinders, large bore cylinders and positioner cylinders from Nagpur. Meets VDMA 24562 and iso 6431 Standard Specifications. Avialable in 32,50, 50, 63 and 100 mm bore sizes. Cylinder in compact and Streamilined Construction with rang eof mountings. Option of reed switch design also Available. Super finished Anodised aluminium Square profile tube and polyurethane rod seal ensure long and trouble free life. Proven Performance in a wide range of applications. 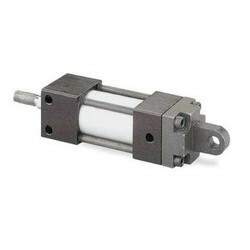 Midget series cylinders available in 1/2, 3/4, and 1 inch bore Size. Medium bore series available in 1 1/2, 2 1/4,2 1/2,3 and 4 inch bore dia. Complete range of mountings like rear trunnion, front trunnion, plate mounting, central trunnion, foot mounting etc. available. Light Weight Consturction, Sleek Desing. Medium ISO range : 32,40, 50, 63, 80 and 100 mm bore Dia. Conforming to ISO 6431 Standard Specifications. "Add on" feature for mountings available on standard Iso Range. Build for heavy duty and demanding applications. Avialable in 5, 6, 8, 10, 12, and 14 inch Sizes. Rugged construction with seamless steel tube for 8 inch bore and above and cast iron end covers. 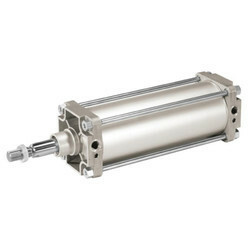 Cylinders larger than 14 inch bore available against specific requirements. Available in 125,160, 200 mm bore sizes. Anodised Aluminium Barrel Cast Iron end covers. ISO cylinders beyond 200 mm bore available against specific requiremnts. 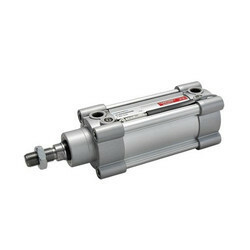 Positioner Cylinder has capability to achieve any intermediate position of pneumatic cylinder depending on Input signal given to the positioner. 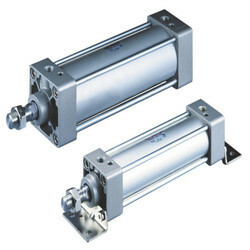 Positioner cylinders are available with bore dia between 40 mm to 200 mm and 1 1/2 to 14inch and up to 1000 mm stroke. 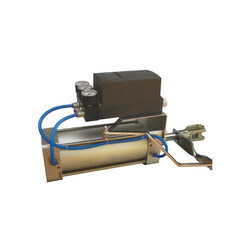 Smart Positioner :ModelSDSP 2300R (Electronic with hart protocol). Work effectively under demanding mechanism and conditions.